We all are very much aware of Google Chrome, which is a fabulous and a reliable browser that holds a great market share. Its clean interface, swift performance and wonderful syncing with mobile devices makes it all the more popular. But what makes it unique is perhaps the Chrome extensions that can be added to your personal installation. With tens and thousands of extensions to choose from, it is really hard to know which will make a big difference to your browsing sessions. 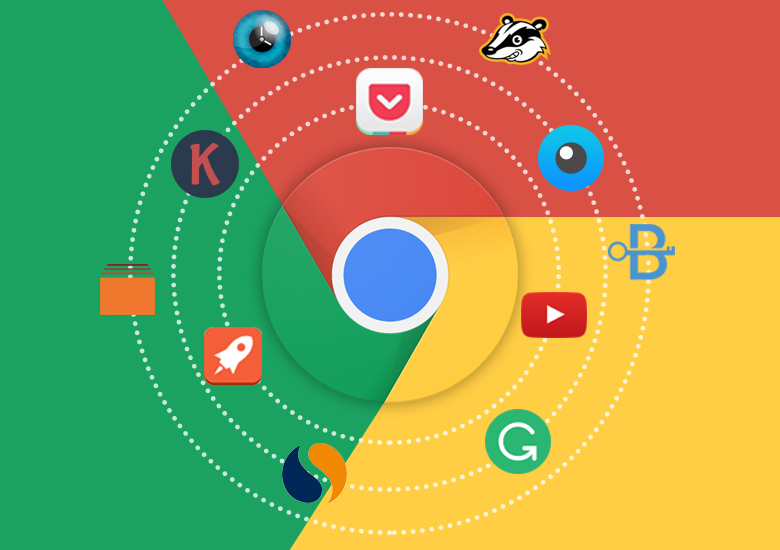 So, I have come up with a list of the best Chrome extensions that can really transform your online experience. This extension helps to enhance your YouTube browsing experience and it helps to skip to your favorite part when you are re-watching a video. The extension allows you to search inside the video as it uses the subtitles and makes the whole text searchable. This is extremely helpful when you are watching a long tutorial and want to skip to a specific part that you want to go through again. This extension offers a read it later service that allows the users to save articles offline so that you can read it later. Besides having a Chrome extension, it also has its own iOS and Android app that allows the readers to read articles while on the go. The service is extremely valuable and you never realize you needed this until you use it once. The extension helps you to get clean and easily readable versions of your favorite articles, news and web pages. It strips out the surrounding webpage clutter, advertising and formatting for a readable view for your comfort, while including social sharing features and Send to Kindle function. This is a free tool that enables you to save your precious time required for keyword research so that you can attain a higher ranking. The extension helps you to check the CPC for any given keyword for tons of websites. This extension helps to check the on-page SEO factors of your site so that you don’t waste time about the HTML source. It automatically fetches and displays the page title, meta new keywords, meta description, heading and more. This extension takes all the traffic sources into account and analysis it to derive basic SEO information. You can get deep insights into the site time, traffic, bounce rates and even more. within seconds you can see a company’s target audience demographics and the locations that are generating the highest traffic. This helps you to find out the quality and quantity of backlinks that point to the given web page. with this extension building high quality backlinks become easier. This is a great extension that helps you to protect your online privacy while you browse the internet. It blocks any invisible trackers and spying ads and ensures that the companies don’t track your browsing sessions without your permission. One big issue with online browsing is that trackers can easily follow you and generate information about you so as to deliver targeted ads. By using this extension, you will be able to protect yourself from such trackers. This extension service functions as a password manager, credit card masker, email anonymizer, all rolled up into one convenient package. The users can easily create and also store strong passwords and it syncs the password across desktop and other iOS devices for ease of use. It also includes tracker blocking for numerous web trackers. If you are very active on your web and have frequent updates, then a lot of your time is being spent on writing things. Whether you are replying to mails or preparing an article for publication on Google Docs, then Grammarly can help to write better. It helps to identify any grammatical errors in the writing, which may be missed by other word processors. It also suggests corrections in real time. We all know it very well that the internet is a big distracting place. Remaining focused on your work is at times difficult as you stop to watch a couple of videos, Facebook updates, entertainment sites and do everything else instead of using your time for anything productive. If this is what happens to you, then download this extension as it helps you to stay focused on your work by restricting the time spent on such websites. Have you ever got lost in the tabs that you have opened? If you find it difficult to manage your tabs in Chrome, then this SuperTabs allows you to list and search the open tabs and switch to them quickly. You can search for the tabs based on their titles. The extension also supports keyboard shortcuts and allows the users to quickly switch between them.